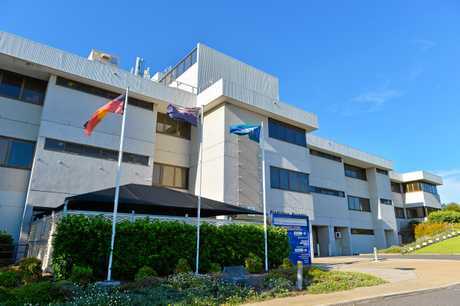 A CORONIAL inquest into the death of a baby at Gladstone Hospital was told yesterday there was a chance she might have survived if she had been given antibiotics, received adequate resuscitation and been transferred to a hospital more well-equipped to help her. The inquest was also told by a doctor working that night that the team put together to save the baby had been assembled "out of the woodwork" based on who was available at the time, and staff involved were not well-drilled at working together in that situation. Baby Millah Keldie-Roulston died in the early hours of February 11, 2016, just hours after she was born struggling to breathe. She was found to have a severe Group B streptococcal infection, which had caused a pulmonary haemorrhage, and her skull was fractured in two places. On Tuesday the inquest heard evidence from a midwife that she had dropped baby Millah shortly after her birth, after slipping on a wet floor while hurrying between two birthing suites to find a working resuscitaire. Gabrielle Matamoros testified she had made the decision to carry the baby to the other suite as an adapter had been missing from the first suite's resuscitaire, and it was possible there had been a delay of two to three minutes between Millah's birth and the beginning of the resuscitation process as a result. She testified that just four days prior she had submitted paperwork reporting the maternity ward was busy and understaffed. Yesterday, Dr Lloyd Bwanaisa told the inquest he had been called to the hospital shortly after Millah's birth, and upon his arrival found her to be "extremely ill". She was struggling to breathe and needed constant resuscitation, he said. Dr Bwanaisa testified he immediately began working with Dr Opatus Chipa, who also testified yesterday, and nursing staff to resuscitate Millah and stabilise her condition. The inquest was told that at some point during their early resuscitation efforts, Dr Chipa prescribed Millah a dose of benzylpenicillin, an antibiotic, due to be administered at 1.25am to ward off potential infection. Dr Chipa testified such a prescription was standard practice as infection was always being considered, and the time had been chosen based on an estimate as to when it would be possible to administer it. "I would please beg you to understand the situation was very intense," he told the inquest. He said he had written the prescription but did not remember stating it out loud, as he believed Dr Bwanaisa would have been aware the prescription was standard after such a birth. He said such a prescription did not need to be verbalised as it was "like starting an engine... you don't need to tell the passenger 'I am turning the key now'". Nursing staff yesterday testified they were not aware a prescription for antibiotics had been issued, and the benzylpenicillin was never administered. Dr Bwanaisa told the inquest both he and Dr Chipa were not focused on administering antibiotics as they were working non-stop with the nursing staff to resuscitate and stabilise Millah. Both doctors testified everyone present was following a protocol known as "ABC", used in situations where patients require resuscitation. The protocol prioritises clearing the patient's airways, then establishing breathing, and finally establishing circulation before moving on to other considerations such as medication - especially medication that needs a functioning circulatory system to take effect. 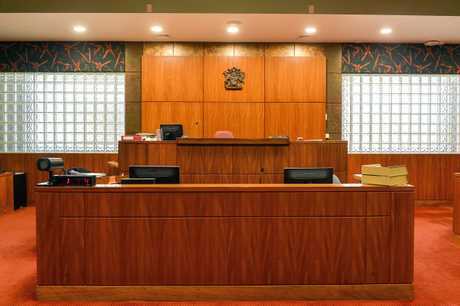 Barrister Holly Blattman, acting as counsel for Millah's parents Brieaan Keldie and Adam Roulston, asked Dr Bwanaisa why antibiotics were not administered along with fluids when an intravenous line was established at about 12.23am. 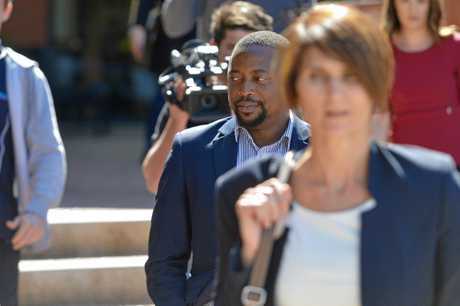 Dr Bwanaisa told Ms Blattman she seemed to be considering the incident as if it took place in "an ideal scenario". "Gladstone Hospital at the time, and to an extent now, was not an ideal scenario," he said. "A team that's well-drilled in a reasonably trained unit (may have been able to administer antibiotics). "This is a team that's just been made up... people just come out of the woodwork. "You are expecting them to act with a degree of efficiency that they just cannot provide." Dr Bwanaisa said the earliest possible time antibiotics could reasonably have been given that night was "when the team felt capable". "It's not as simple as writing (a prescription) on a piece of paper... to do those things does take time," he said. 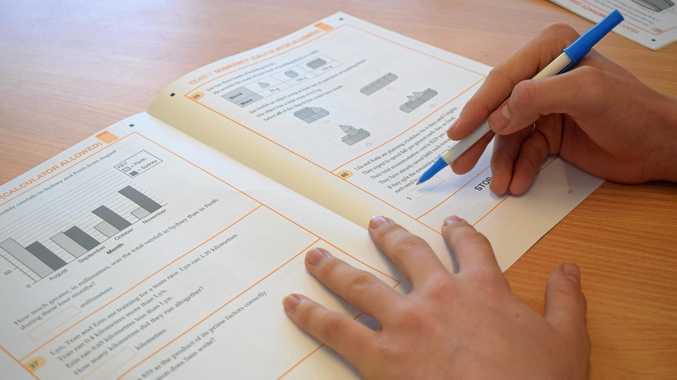 "The team did a fantastic job in my own opinion given their capabilities.... there were a lot of things going wrong and I think they did well." But he admitted that "in a normal scenario," the antibiotics would have been administered. Parents seeking positive outcome: Millah Keldie-Roulstone's parents Brieaan Keldie and Adam Roulston say they are still digesting the evidence heard during the first day of the inquest, but want the right outcome to help the health system and other mothers and babies. 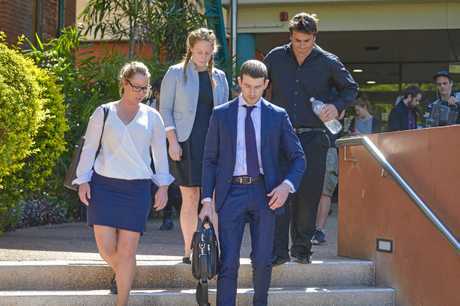 The inquest also heard from two doctors who prepared reports into Millah's death, Rockhampton forensic pathologist Dr Nigel Buxton and Gold Coast neonatal paediatrician Pita Birch. Appearing by phone, Dr Buxton testified that Millah's skull had been fractured in two places, near the temple on each side of her head, and he believed the more severe of those fractures was likely caused by her being dropped to the floor. He told the inquest the second fracture might have been the result of birth trauma, though he had only come across three similar instances in his 40-year-career. Dr Buxton also testified that he believed while it was not possible to exclude head trauma as contributing to Millah's death, it should be listed as a contributing cause in the coroner's report, rather than the actual cause of death. Also appearing by phone, Dr Birch testified Millah might have had a chance of survival, despite the extent of her infection, had she received early antibiotics and resuscitation and been transferred to a "tertiary or level 6 unit" such as the Gold Coast Hospital or the Mater Mothers' Hospital. "I think... there was a chance she would have survived," he said. "(But) it would have been an uphill battle, and there needed to be a lot of things that happened well." Dr Birch said he suspected things going wrong from the beginning contributed to ongoing errors made by the team, including the delay in charting antibiotics and the fact they were not eventually administered. "If you look at team dynamics and crisis resource management processes, having that stress, having it go badly from the beginning does not help pull the team together so things can continue," he said. Dr Birch agreed with Ms Blattman that if IV access had been established at 12.23am, administering antibiotics should have been the "absolute priority". But he also testified the failure to administer antibiotics and the delay in resuscitation at the outset "did not fall outside what could be expected" in a small special care nursery, given the inordinate stress the team was under without a neonatologist or a neonatal intensive care unit. The inquest is set to conclude today.